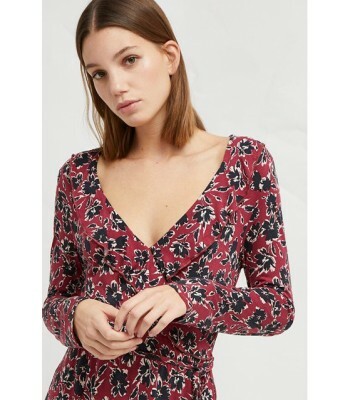 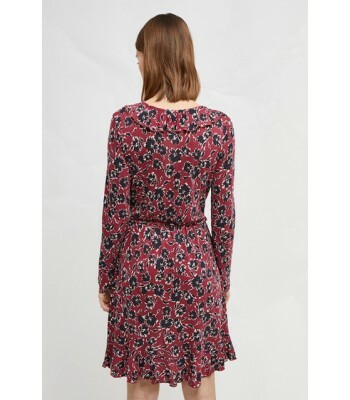 From work to the weekend, the Aubi Meadow Floral Wrap Dress is a pretty, versatile piece. 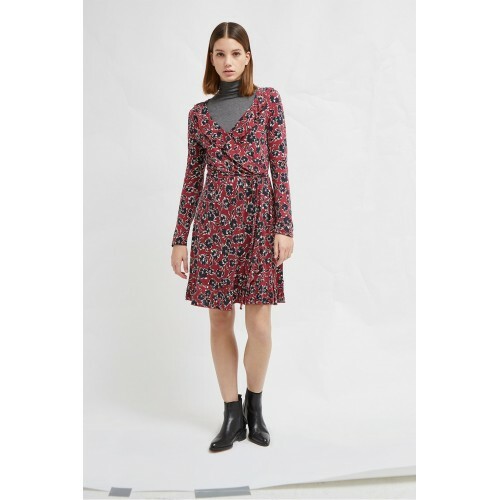 The slinky jersey dress has a flattering wrap-over front with a tie waist, V-neckline and long sleeves, casting a classic silhouette. 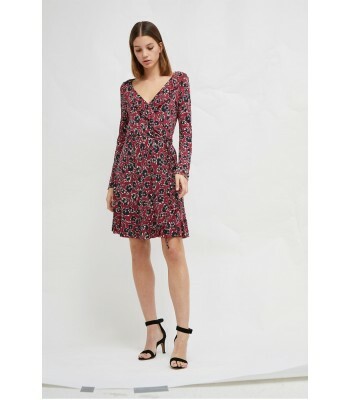 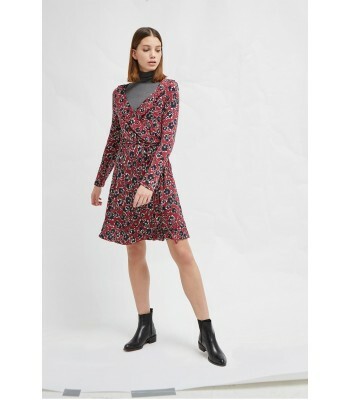 The pretty dress is covered in an eye-catching floral print, creating a piece perfect for your 9 to 5.